“Every Single Word Spoken By a Person of Color” in ___ video series calls out Noah, 500 Days of Summer, and more on casting of minorities (VIDEO). 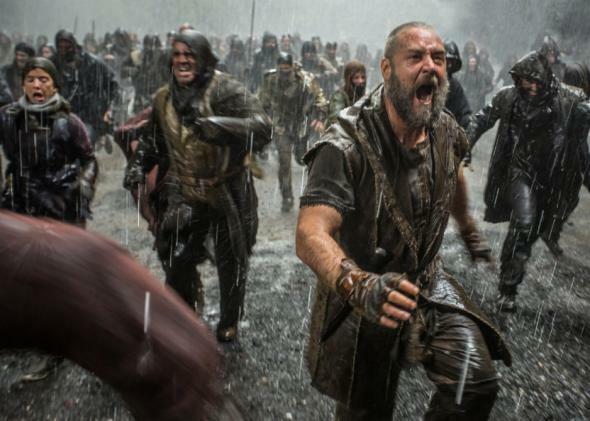 Russell Crowe in the very, very white Noah. Photo by Niko Tavernise - © (C) MMXIII Paramount Pictures Corporation and Regency Entertainment (USA) Inc. All Rights Reserved. I’m not picking these films because I don’t like them. On the contrary, I actually really enjoy them. I saw (500) Days of Summer on opening weekend and loved it. But if we can’t see our reflection in films as harmless as well-made indie rom coms, then we’re suggesting that our stories don’t exist. Or, at the very best, they don’t matter that much. Deadline Says There Are Not Enough Roles on TV for White People. Poor White People.